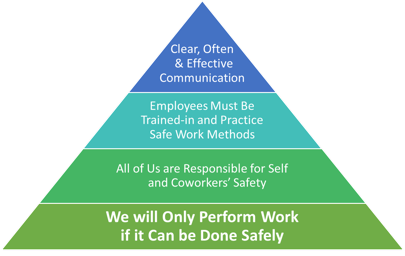 We will only perform work if it can be done safely. We work to deliver the best service possible to our customers. However, the one thing that is never compromised is safety. Our culture is absolutely committed to the safety of our crews and our customers. We don’t cut corners and we don’t sacrifice any level of safety on any job. We will not perform any work until all hazards have been addressed and the job can be completed without injuries or damage to property. We make this commitment to each other and our Guiding Safety Principles inform all our decision-making and activities while working for our customer. 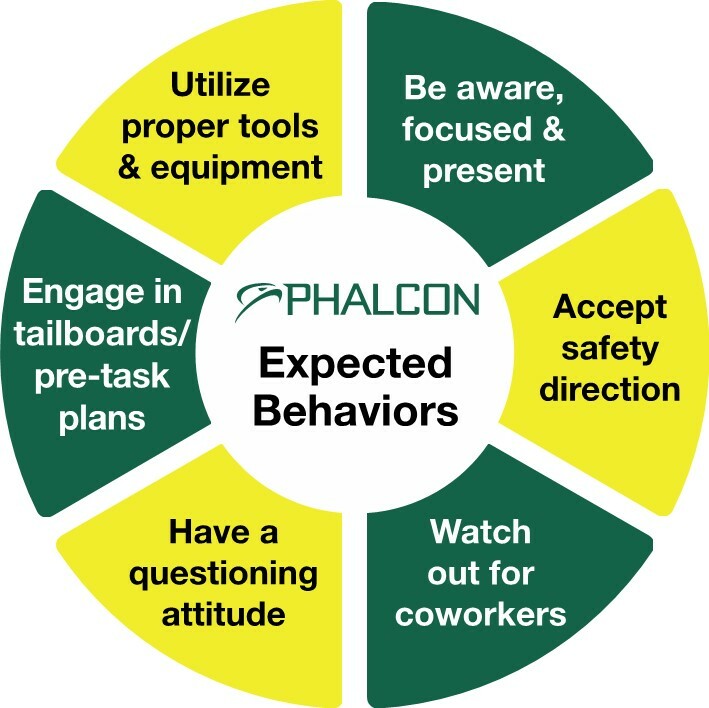 We are committed to safety and every day we practice this policy through the implementation of our Expected Job Site Behaviors. Extensive safety training, investment in the safest tools and equipment, and a zero tolerance for unsafe work practice is the way we insure that our commitment to safety remains one of the most important business practices. We each have a responsibility toward our own safety, but in addition, we have a responsibility to our families, co-workers, our communities, to our company and ultimately – to you our customer. Fill out the following form to request a download of our safety manual.